Campbell & Son Pools opens and closes hundreds of in-ground pools for residential, municipal and commercial customers throughout East Tennessee. 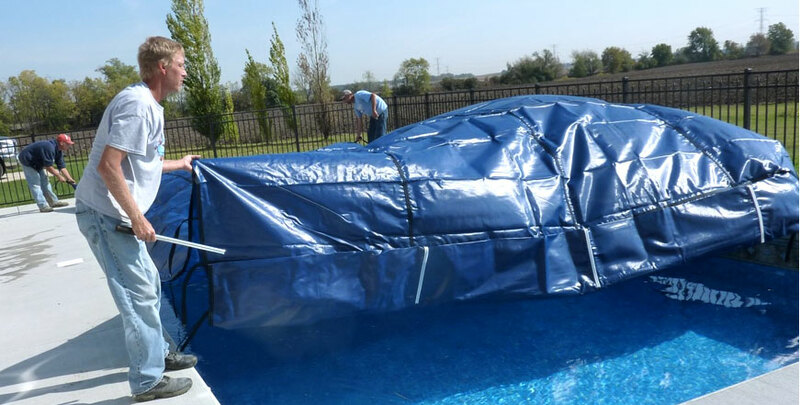 Proper pool preparation for the winter season ensures that when warm weather arrives your pool will be ready to be opened before the pool season starts. When it’s time to open your pool count on the experts at Campbell & Son Pools to do the job right. 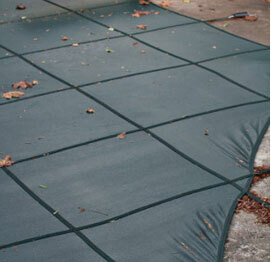 We’ll re-install accessories such as diving boards, ladders, handrails, lights, pool cleaner, etc. And we’ll reassemble filter and pumps, including replacement of gaskets and/or seals if needed (parts not included), and perform a complete water chemistry check. When the summer season ends, Campbell & Son Pools winterizes the pool equipment and all of the pool lines and adds necessary chemicals to the pool. 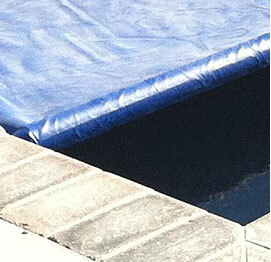 A properly closed pool ensures a stress-free opening next season. Campbell & Son Pools services include lowering the water level in your pool accordingly; draining your pool’s filtration, heating and pumping equipment; blowing out filtration lines and equipment and installing winter plugs; removing the pool sweep and storing it on your property; covering the diving board; installing ice protection container in the skimmer and covering the filtering equipment with plastic.